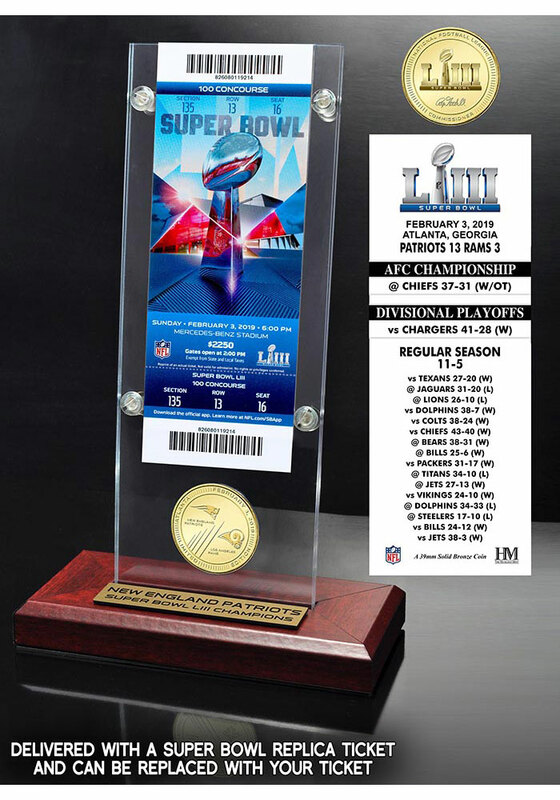 Display this New England Patriots Super Bowl LIII Champions Bronze Coin Ticket Plaque to show off your New England Patriots spirit. This Plaque features a commemorative Super Bowl ticket and champions coin. This replica ticket features the New England Patriots regular and post season games. Ticket can be removed and replaced with your actual ticket! This minted coin features the official Super Bowl LIII logo and team logo.